and have stood the test of time. It’s no wonder they’re still flying off the shelves, despite setting us back $100 each time. I own a pair of Era 59 Vans and white High-Top Classics myself. Each time I invest in a new pair, I make a new promise. That this time, I’ll keep them clean. The result, never un-expected, is discoloured converse. Due to a lot of things, but mostly my laziness. We’ve all tried the washing machine and regretted it, and scrubbing endlessly is ironically well resembled in those American tv infomercials. I’m sure I’m not the only one whose ever searched for a better solution. After scrolling the internet for a while, I saw that Footlocker was advertising a Sneaker Cleaner for only $15 – what?! I imagined I’d be spending minimum $30. Still a little skeptical, I headed to the store to check it out in the flesh. After all, anything can claim to leave sneakers spotless. What convinced me, was the sales assistant who proved it’s effectiveness on my own shoes then and there. I walked out with brand-new looking sneakers – a citrus scent following behind me – and the cleaner itself. When you’re paying $100 or more for shoes, you owe it to yourself to ensure they last. 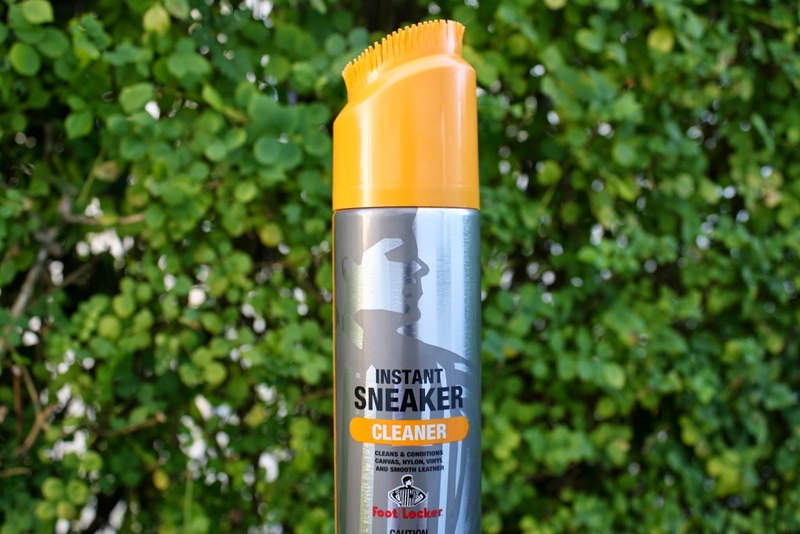 This sneaker cleaner is an investment in my books.